The Wanda Wyatt salad bar has a great selection for healthy eating. Check out myPantry to whip up meals the way you really want them! 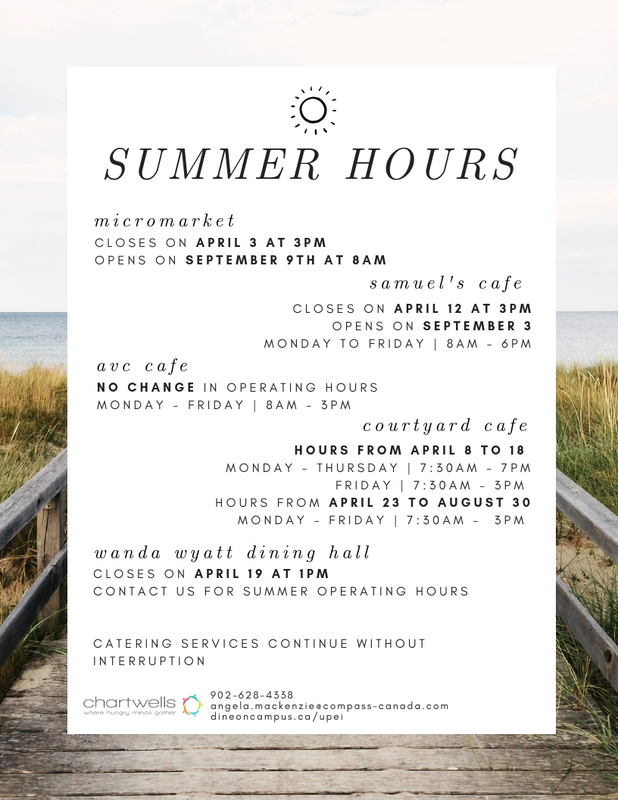 Please take note of our Summer Operational Hours, the earliest changes beginning on April 3rd.